It’s back-to-school time, and apparently when it comes to classics with classroom scenes, the 80’s has a corner on the market. If you think one of these needs to be this week’s movie, raise your hand. Then come up and write it on the board. A probable and understandable FAQ: Where is Ferris Bueller’s Day Off?? Well, that one is such a classic I thought it would be too easy of a win. Besides, I called out his name numerous times and there was no response. Gov’t of Canada… got a deal for ya! 1. GAS TAX. We all feel the pinch of going to the gas stations. Or maybe it’s more like a flesh-ripping, Killer Karl Kroupe claw to the gut. So I am suggesting you cut that tax by at least three quarters. I do recognize, however, that if that was to happen, less money would be going to Parliament. Less money to work with in your operating budgets. But here’s the deal: In exchange for you to stop taxing gas so steeply, we will agree to the legalization of marijuana. How does that help you get your money back? Simple. If this stuff is legalized, you get to tax the ever-loving daylights out of it! Put it up as high as you want. Don’t worry about people who think it will ruin our society. Trust me, when they learn the kick to the crotch at the pumps is turning into a buddy shoulder punch, they’ll be so down with this. Concerned for our youth? No need. Legalizing it won’t introduce them to pot. They’re already smoking the stuff and baking it in brownies. Availability is really no issue in Canada. Trust me, I’m a former youth pastor and teen group home worker. However, with the kinds of taxes we’ve come to expect on things like gas, milk, lottery, etc., we have all the confidence in the world in your taxing power. Once you guys are set loose, only the super rich will be able to afford weed. The youth of our nation will be protected by your exorbitant tax. It’s win-win! (amount depending on what extra jobs they take on). This gaping difference in your salaries and ours is something that all Canadians are upset about. You can find a Canadian who doesn’t like hockey, or who doesn’t frequent Tim Horton’s, or who doesn’t listen to Gordon Lightfoot. But no matter how hard you try you’ll never find a single Canadian who doesn’t hate this (excluding those Canadians serving in Parliament and those with summer houses in the Caymans). So it should be obvious what you get out of this. If your party is behind something like this taking effect, they will become the heroes of every Canadian. I’m telling you, you have no idea the rockstar status you will attain from this. Your opponents will look absolutely silly complaining about this. They will become the hated villains. You will sit atop the king of the castle! And for a very very long time. 3. CHRISTMAS BONUSES. Please. Please stop taxing Christmas bonuses. 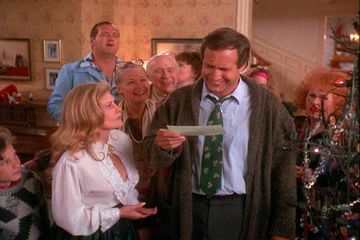 I’m sure we’ve all felt the frustration that goes with finding out that your employer’s generous gift to you was cut in half. This is one of the grinchiest things anyone can do at Christmas—and it’s you, our own representatives who do it! I propose that you simply put a cap on how much of a percentage of a worker’s salary the employer can give to him/her tax free. After that, tax the surplus gifts. Again, this means less cash flow to Ottawa, but no worries. I have such a great idea. We all know how common it is for mayors, premiers, MP’s, MLA’s and even Prime Ministers to be caught misusing government funds. In my teenage daughter’s lifetime there have been two governments whose money handling has become the focus of an election—one Liberal and one Conservative. So…. fine them. Fine them heftily, and even more heftily if they’re caught trying to pay for it in any way other than out of their own pocket. To do this, allow reports from national and provincial newspapers and magazines to be used as source material, such as Maclean’s magazine’s published article “99 Stupid Things the Government Spent Your Money On.” Create a committee that finds out these misuses of money (You’ve got to see the list. Some real doozies in there.) and takes appropriate action.Yes, an initiative like this would cost money, but going on the track record of government officials of any and all parties in any and all provinces over the past 25 years of my adulthood, there is no doubt in my mind that those funds will be won back, and then some. Plus, there are millions of Canadian citizens who would gladly volunteer to be on a task force that serves this purpose. So there they are. Truly offers that you simply cannot refuse. “What if we keep things the same way they are right now” you say? Let me stop you right there. 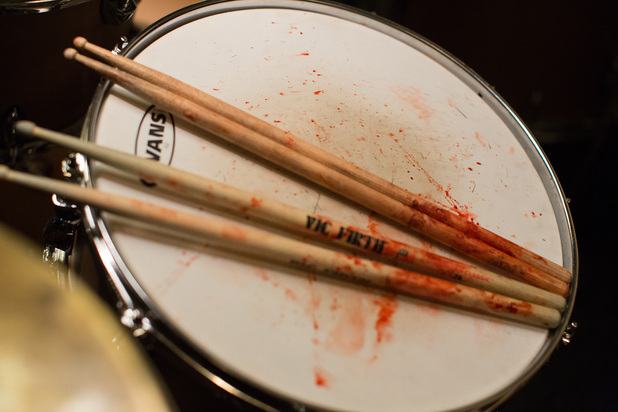 That’s not quite my tempo. 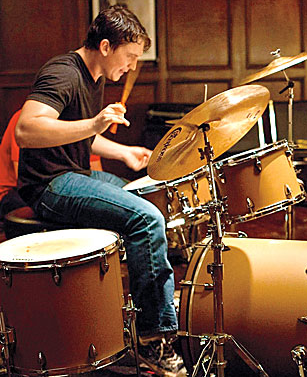 Congratulations Whiplash. This is your week. 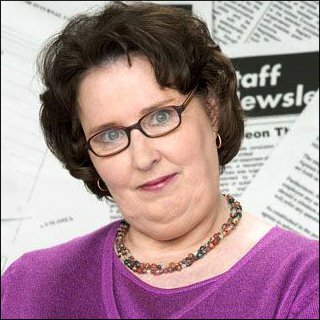 Best Actress: Phyllis Smith as Sadness in Inside Out. Her voice was perfect for her character. Best Actor: Can anyone argue JK Simmons? He was the talk of the Oscars this year and was easily the runaway winner. Came along way since J Jonah Jameson. Best Quote: “Congratulations San Francisco, you’ve ruined pizza! First the Hawaiians, and now you!” — Anger in Inside Out. So I’ve decided I’m not paying my taxes next year. Going to prorogue them. So far the decade of the 10’s has been great. Our three nominees were all awesome movie experiences for me. And they just happen to have characters with short fuses and wide open mouths. Which one do you choose as this week’s movie? A note of clarification… I realize that this decade has technically been going on for a little over 5.5 years. Also, If you only count the dates attached to these movies, it would be hotheads of the last 4 years. But I thought I’d leave it all be seeing as very few of you, including myself, would care anyway. This is a term, I admit, I made up entirely. To me, cold movies refer to ones you watch and you “go in cold.” You have no idea what it’s about. Sometimes it’s a wonderful surprise, sometimes it’s a big ol’ disappointment. So they’re more dependent on the viewer’s experience. Any movie can fit this category depending on who you’re talking to. For me, our movie of the week was an awesome cold movie. In 1993 I was in Michigan with my cousin Scott. He lived there, I was visiting, and we decided to rent a couple of movies. One of them was Mississippi Burning. He raved about it, but didn’t say much about the plot. If you’ve seen it, you know how emotional it can be for the viewer. It covers a time period in our recent history that most of us wish would just go away. 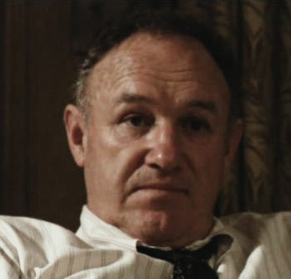 Both of the main characters were heroes, but for me it was Gene Hackman who played the real “yeah-you-go-get-’em!” hero. The scene that I used in the image for the nominees post is my favourite scene. That’s all I’ll say, because maybe this will be a favourite cold movie for you sometime. 10. 3:10 to Yuma — Honestly I didn’t even know Christian Bale was in it. I guess I did know it was a western, but that was it. There is so much I love about this movie. For me it’s one of the best westerns ever. 9. Dallas Buyers Club — With the Oscar buzz it got many knew the plot, but for all I knew it could have been about of group of millionaires in Dallas. It was my first time watching McConaughey and loving his performance (he’s done it again since). 8. About A Boy — I told this story before, but I watched this on an anniversary date with Joy. Still one of my favourite movies of all time. 7. Reservoir Dogs — This movie sold me on Quentin Tarantino. Neither the name nor the poster tells you a thing. It’s hard to watch at points, but it’s a masterpiece of a movie. 6. Eternal Sunshine of the Spotless Mind — I didn’t go in expecting a Jim Carrey comedy, but nothing else was known to me. I watched it like a kid seeing his first cartoon. There’s so much to soak in. 5. Memento — What a trip this movie is! I knew it was a mind-blowing sort, but with every passing moment I was glued, trying to figure out what would happen next. Frankly, much of the time I didn’t even know what was going on, but somehow didn’t mind and kept watching with anticipation. The ending doesn’t disappoint. 4. Mary and Max — Just saw this. I would say this is one of the most important movies that no one is talking about. It moved me and taught me something new. 3. My Left Foot — I knew my favourite actor starred in it, but that was it. I couldn’t imagine how a movie about a guy’s foot would be any good. I figured maybe it was some kind of metaphor. Turns out this movie is one that I can guarantee you will love. For so many reasons. 2. Forrest Gump — It’s true. Joy and I went to see it when we were planning on seeing another. We didn’t know anything. One of the best surprises cinema-wise in my life. 1. Predator — This one is number one for a good reason. Think of the Predator character and it’s movies. Most of us are familiar. Now imagine you’re watching a movie having no idea what the “predator” is. I just thought this was a military-themed Schwarzenegger movie like Commando, which I didn’t really enjoy. The movie doesn’t just show you a monster; like Jaws it’s patient. In fact, for the first little while it kept showing you scenes from its point of view. I asked my friend, “Whose eyes are we seeing through here?” Wisely he answered, “Just watch.” And when you do encounter this Predator, it’s still an enigma. It takes a long time before you finally understand what’s happening, and then you’re wrapped! I’m one of the few, I’m sure, who had this experience with this movie. Congratulations Mississippi Burning. This is your week. 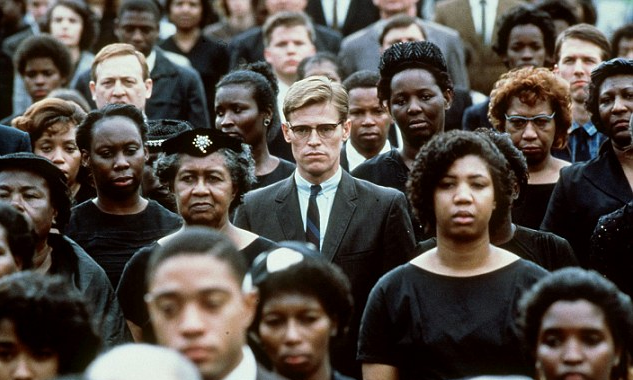 Best Actress: Frances McDormand in Mississippi Burning. One of my favourites. Best Actor: So many great ones represented, but I say let’s go with Richard Harris. Unforgiven was one of his best, but not most well known. Most of us know him as the original Prof Dumbledore. 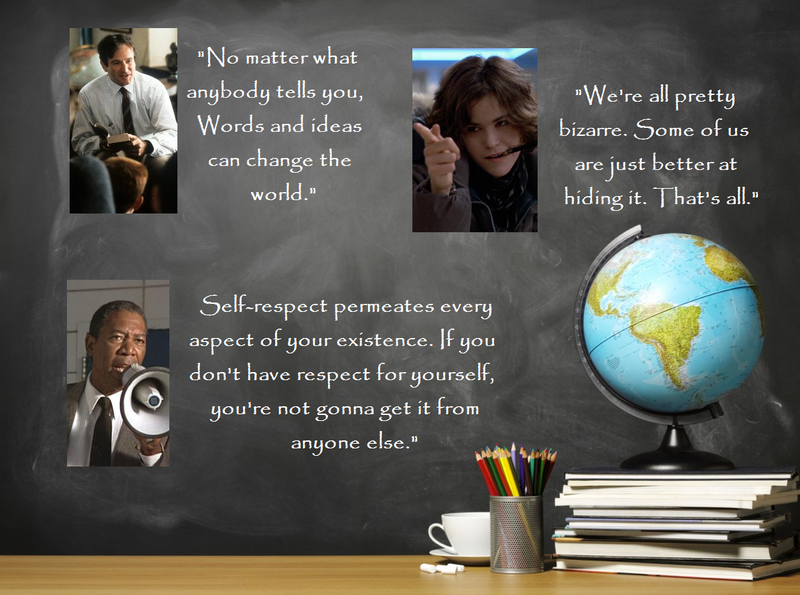 Best Quote: “You know what Anderson? You’re starting to get so far up my nose, I’m beginning to feel your boots on my chin!” — The mayor character yells this at Hackman’s character. I haven’t seen Hoosiers or The Conversation, but I have a feeling they’d be on this list if I had. Thank you all for your comments regarding my “not ordained anymore” post. I especially appreciate you saying I was brave, although the irony is embarrassing. One of the things I’d shared with John was that I felt terrible for not having approached him when I was gainfully employed by the church. So I feel like I was chicken through most of this, but I am so grateful for your words nonetheless. It’s wonderful to me how they’ve come from both those who agree with my views and those who don’t. Below I’d like to offer some additional notes since a number of questions have come my way that I should answer. I’ve also discovered a few small points of clarification I should make. 1. ME vs WC — Please know that I still have a good relationship with the Wesleyan Church. I very much disagree with their position and behaviour with regards to people who are gay, and they with me. Both of us are concerned about each others beliefs. Yet I had no desire to cut ties or make them out to be a villain and me the hero. I did want to share with friends and family what happened and give them the entire story. Better from me than the ol’ grapevine, despite how tasty and juicy that grapevine can be. Yes, I have had frustrations and still do, but so does everyone. It’s normal. I mean it when I say that the relationship bridge has not been burned. The ministers I met with are friends of mine. Becoming enemies and acting as if we’re on separate teams is ridiculous. It doesn’t have to be that way. I want nothing to do with instigating any animosity. If we want to grow, we have to listen to each other and respect one another. When groups are at odds with one another, it is common for a person who is approached about their behaviour to say something like, “What about them? ?” I hate hearing that. I’m still trying to teach my kids to not say this. Why on earth do grown adults do it? Obviously it’s difficult for both of us at times to deal with emotions seeing as we feel so strongly about what we believe, but we’re all mature adults here and our relationships mean a lot to us. 2. CHILDREN AND FAMILY — This is an important one… KIDS: I had shared that I was affected greatly by the question of what I’d have to say to a child of mine if they comes out of the closet and asked me to marry them. However, please don’t misunderstand this as a way of claiming to be a better dad than those who disagree with me. I would love to convince any minister to not deny their child who requests this, but my intention is not to puff myself up while putting others down. FAMILY: Similarly, if you have gay family members, and your relationship is good despite your belief that they’re wrong, I applaud you. Even more I applaud those family members for their understanding. That’s tough! But again, my aim is not to imply that you don’t love them. These are my convictions and I share them. That’s all. 3. LIFESTYLE vs LIFE — I’m sure you hear many refer to the phrase “gay lifestyle.” It’s important to understand that this is like referring to my life as a heterosexual lifestyle. It’s not a hobby or leisure pursuit. It’s life. Being gay is more than just sexuality. As I’m sure we all understand, the Bible needs to be read and understood as a whole. We can’t read just the stories of the patriarchs or just the levitical laws (thank God for that) or just the Gospels. Nor can we take selected verses and not understand them in the context of the whole. For example, anyone who reads verses that seem to say that God is vengeful, angry and scary desperately need to keep reading. Finish the book and get the full story. So, as with most Christians, when I read the Bible (especially the Good News of the New Testament) I find it liberates us; not to sin and do evil, but to grow in grace. This happens continually throughout history. We grow as human beings and as Christians. We discover that interracial marriage isn’t wrong and we come to understand that the isolated verses don’t cancel that out. The Word as a whole leads us through every era. So when scientists discovered the world is round, we didn’t have to feel that our faith is attacked (though many back then did). The Spirit of the Word moved in Christians around the world to make a difference in the Abolitionist movement. The arguments for slavery, using the Bible, did not deter them because they understood the larger story of Scripture. So, humankind has grown in this area too. Sexuality has been explored since the beginning of time, but nothing like we have in the past 200 years. We understand more about our own psychology, how people tick, how relationships work, etc etc. We understand more today about sexuality than Paul ever did. To him, “homosexual acts” were immoral. And to the people of 2000 BC it was immoral. Some of the Roman culture allowed for it, but they were seen as people who allow for just about everything. There were a ton of things they found immoral back then that we can all be thankful are no longer considered so taboo. If you’re reading this and are female, chances are good that you’re allowed to go to church without a hat on. And if the circumstances were right for you, I’ll bet that you could chair the church board or preach a sermon without anyone getting worked up over it. Again, we are talking about “being gay” and having the right to be so and to get married. The verses we’re talking about are focusing on condemning licentious sexuality outside of committed marriage relationships. Yes, when Christ spoke of marriage he only talked about heterosexual. It wouldn’t have made any more sense for him to bring up gay marriage than it would for him to bring up that the sun doesn’t revolve around us or for him to give instructions on labour rights. Simply put, we grow in our faith and God leads in new directions. It’s been that way since the beginning and we have always had difficulty with the changes. No, I do not have any verses that say, “Being gay is ok.” For me the answer is in the theme and metanarrative of grace and mercy over law and judgment. It’s all through the Bible, Old and New. I realize that many see this as watering down the Bible, but I must say I can relate: to me, reading these verses and using them to condemn people for being gay is watering down the gospel. One last thing. I also enjoy talking over an ice cold pop. Either way, I’d rather McDonald’s than Tim’s. Just some clarification there. This is a Breaking Story! Most of us were brought up with a certain appreciation for current events. And I’d say most of us have a good understanding of how news has evolved over the years from public bulletins to daily gatherings around a radio/TV, to just another outpost of the entertainment business. We were told by teachers, parents, and other adults that it’s important to stay informed—and it is. 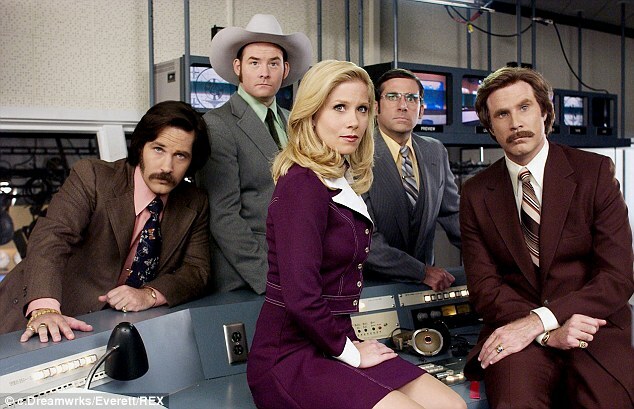 If you’ve seen Anchorman, you know how great of a parody it is of 1970’s TV news. If you’ve seen the sequel, it gets downright prophetic with its portrayal of the 1980’s to the present. 1. Newspaper Nerds — These people think television is a bunch of noise and if you’re not taking at least an hour each day to sip on a hot beverage and read the paper, well…. well just what is this world coming to?! They are proud of their stoicism and down-to-earth disposition. Their likes include hair cuts, footrests, pot roast, and tsk-ing. And for some reason they do not like saying the word “pants.” It’s all “trousers” and “slacks” to these people. It’s starting to tick me off really. 2. TV Pietists — This group kinda/sorta knows that “you can’t believe everything you see and hear on TV.” However, “the news” is a dignified exception. It is a dependable source of all local, national, international, sports and animals-doing-funny-things news. This crowd can’t believe you don’t watch the news if you don’t watch the news. “Don’t you watch the news?? Why don’t you watch the news? You really should watch the news you know.” TVP’s can also be recognized by their bizarre weather fetish. Their TV’s will continuously run 24-hour weather channels all day long. Unless the news is on. Oh, and avoid telling them you get your news from the Internet. They will laugh at you. With angry faces. 3. Social Media (Knee) Jerks — This crowd spends quite a bit of time on Facebook and Twitter. (I’d list other social media sites, but most people who use them are under the age of 18 and aren’t all that concerned with news. That is, unless it’s a meme making fun of a current event. Usually a celebrity-themed current event.) SocMed Knee Jerks are the ones who see things pop up on their “newsfeed” and make a hasty reactions to them. “The President/PM made a statement today? Well, I have something clever and prematurely conclusive to say about that.” “A quarterback was charged with a crime? I’ll tell you if he’s innocent or not based on the few fact-ish facts I’ve read on another friend’s post. Whether or not I like the team has nothing to do with it. (yes it does)” I was guilty of this at least one time. One day I’d seen that Jian Ghomeshi posted information about being let go from CBC and what the circumstances were. Because I liked his radio show, and because he seemed to be so transparent and forthright about the situation, I “liked” the write-up. It was only hours later that everyone had gotten the information that he wasn’t as innocent as his post implied. He was coming across as a nasty, abusive criminal. Suffice to say, I was embarrassed to hear a loved one say that the first they’d heard of the story was me liking Ghomeshi’s post. Oops. 4. Online Semi-Readers — I will admit it. This is me. I get my news from a handful of news sites. Usually it’s a TV news network’s website, and it would be comparable to a TV Pietist if s/he were to watch the first 60 seconds of each news segment. OSRs read the headlines on said sites, click on interesting ones, and read the first paragraph. Maybe the first few lines. Or the first sentence. At least look at the pictures. Then, we bring them up in conversations. Newspaper Nerds and TV Pietists respond in those convos with something like, “Yes, I did hear about that,” and then rattle off all details they’ve managed to commit to memory. But a SMK Jerk or fellow OSR may respond with, “Oh really? What happened?” The answer from a OSR is usually the same: “Ummm, I didn’t catch the whole thing, but I do know that (repeats headline again).” These folks love to brag about their multi-tasking skills. And as you’d expect, in reality they can’t multi-task their way through a wet paper bag. But they sure can show you some great Youtube vidoes. Really really funny ones. 5. Laughing Realists — This group finds the newspaper boring, TV news arduous, and online news difficult to unpack. They get their news from The Daily Show, theonion.com, or Saturday Night Live. Their thought process goes like this: “I may read in history books about Pierre Trudeau. But if I really want to know what he was like and what it was like having him as a Prime Minister, I simply need to watch the puppets from Canada AM from the 70’s. If there’s a new candidate running in a US election, I can find Tina Fey or Stephen Colbert to fill me in.” These people have two common traits: 1) They seem happier than the other types of news consumers. 2) They’re generally better informed too. 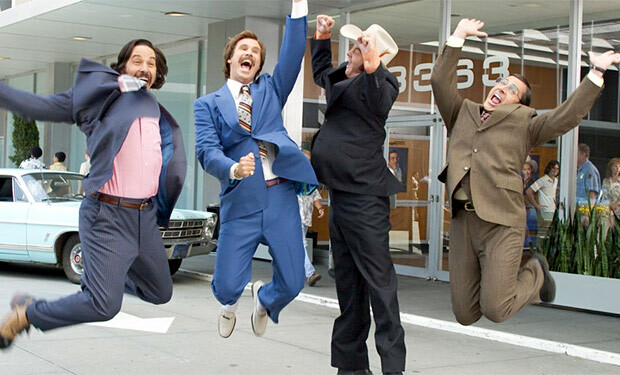 Congratulations Anchorman: The Legend of Ron Burgundy. This is your week. Best Actress: I think it’s about time Gwyneth Paltrow has gotten recognized on this blog. She’s awesome, and no one could pull off a better Pepper Potts than she. Best Actor: I simply adore District 9, and one of the great surprises in that movie is Sharlto Copley. He was only ever in one other movie before this one, which happens to be a short. So this is essentially his debut on the big screen. How many actors can say their debut was as a main character in a big budget sci-fi flim that got nominated for best picture? And he’s a freakin’ great actor! And that’s the blog for this evening. From Joy Carruthers, 3 kids, 4 pets, the loaded dishwasher 3000, and me, Troy Burgundy: have a wonderful weekend. You stay classy San Diego.